This new listing in a prime Bel-Air location looks to be super clean with sleek and high quality finishes. Up a long driveway, this single story mid-century stunner features walls of glass allowing light to flood the property, and all leading out to the beautiful pool and canyon views. The property has been totally redone, and is very private on almost an acre of beautifully landscaped grounds plus a putting green and practice area. Very stylish property ready for it's next lucky Owner. According to the listing, "This exquisite Venice Canals home is one of a kind, marrying vanguard contemporary design and Canal charm. The high-end playful design by Benjamin Noriega-Ortiz, of Mondrian Hotel fame, bring to life the clean, modern lines featured throughout the home with whimsy and romance." Lying in a prime Outpost Estates location high above the city with explosive jaw dropping views is this newly constructed Mediterranean Masterpiece. After entering through the handmade gate and passing the tranquil courtyard, one is greeted by soaring exposed beamed ceilings in the large living room and walls of glass showcasing all of Los Angeles below you. 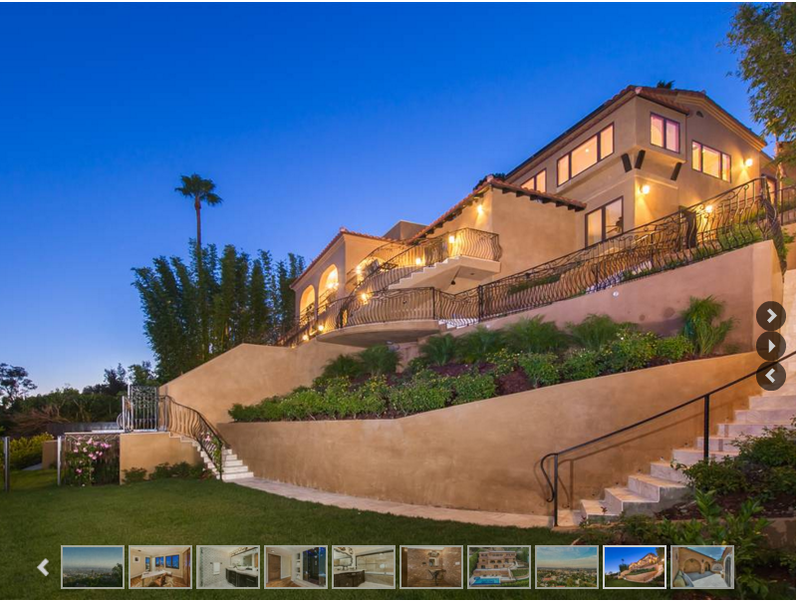 The property boasts high end finishes throughout; including, unique onyx wrapped fireplace, chef ’s kitchen with all Viking professional grade appliances, spa like bathrooms, and exotic walnut distressed wood flooring. 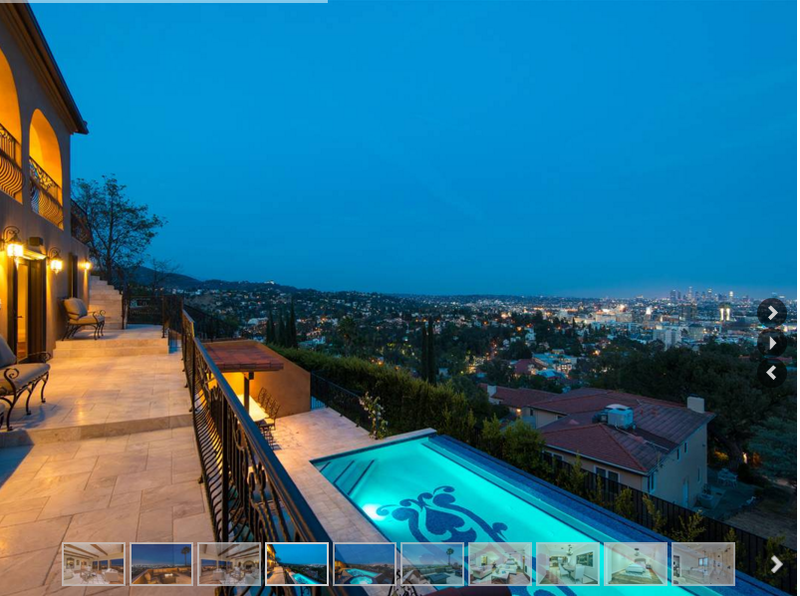 Outside is a beautiful infinity pool and built in bar plus, hard to find in the Hills, good sized flat grassy yard. There are large balconies on each level to relax and take in the stunning views of the Downtown Skyline to the east and all the way out to the ocean to the west. This one is special! 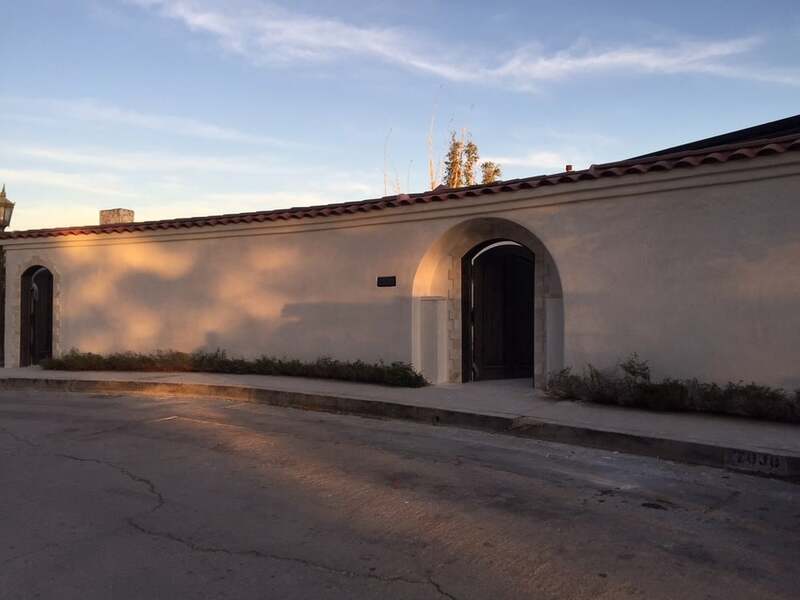 Please note since the original pictures were taken, the stucco has been redone in a more appealing off white color like the picture of the front of the property. As you can see by the pictures, this is basically raw space. It is clearly a fixer that needs work; however, this foreclosure is an opportunity. Homes on this street with these views can easily fetch well over $1M, so with some rehab work put into this one, an astute investor could potentially net hundreds of thousands of dollars. At over 3,000 sq. ft, the home is quite large, and with some vision could be dynamic. If you would like to see this property, please contact us anytime @ 661.600.7463 or email smilayproperties@gmail.com.